Who is the Bluffdale Lions Club? 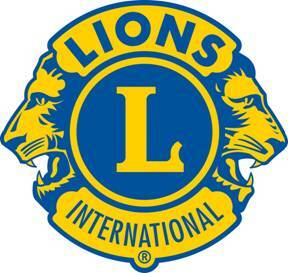 Lion’s Club’s International is the world’s largest service club organization. There are over one million men and women in more than 200 countries and geographical locations. Bluffdale’s chapter of the Lion’s club is a proud tradition that was started in 1956 with just a few members. We have continued to provide service to our city and its citizens ever since. We have fund raisers which helps run our club and provides means to be able to build things in our city. For many years our main fund raiser was a turkey shoot held twice a year. Increased building and crowding has brought this to an end. Now our main fund raiser is sponsoring a demolition derby in the summer. This has grown over the last few years to be a city event that is looked forward to by many people in the area. Our club has a building we use for meetings and is used by many families for parties and gatherings throughout the year. Next to the building is the Lion’s park, which is available for all to enjoy. Some recent projects we have worked on include the main city park where we constructed the playground equipment and assisted with the Veterans memorial, which is currently under construction. We have helped provide fencing and lighting at the rodeo grounds. We have provided scholarship money, pageant money for local girls and we sponsor a sub-for-Santa every year. We also hold an Easter egg hunt at the city park for the little ones the Saturday before Easter. These are just a few of the things that we do to give back to our community. If you have any ideas for service projects please contact a member of the Lion’s club. We love to serve and it shows.